Bayern Munich winger Arjen Robben believes Liverpool are one of the top contenders to win the Champions League and would have preferred his side to face any other team in the last 16. 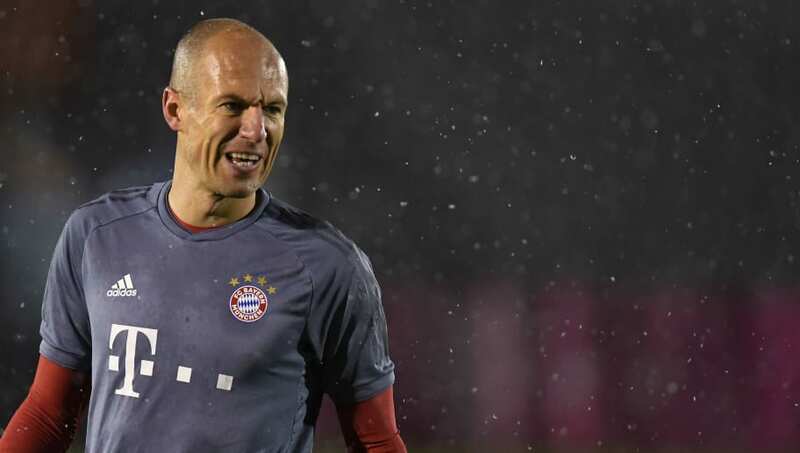 The Bundesliga champions travel to Anfield on February 19 for the first leg and Robben believes the Reds are the toughest team left in the competition. The 34-year-old, who is leaving Bayern at the end of the season, said at a press conference as quoted by the Mirror: "For us, it was perhaps the worst possible draw, but it's going to be a great challenge, we have to look at ourselves, keep working hard and improve ourselves. "​Liverpool are doing well again, just like last year when they made it to the final, and I see them as favourites for the Champions League this season. "If we have a good day and play the way we want, I'm sure we'll make it very difficult for Liverpool." Robben also commented on compatriot Virgil van Dijk, who is enjoying a fine season for Liverpool, adding: “I do not know if he is the best defender in the world, but other people are allowed to judge that, but I’m happy for him. "He has made big strides lately, just look where he comes from. He has grown as a player, but also as a personality, I am happy for him, where he is at the moment. ​Bayern have had a tough season so far after winning the Bundesliga title six years in a row and are currently second in the league. Liverpool, on the other hand, are four points clear at the top of the ​Premier League with 21 games played.